Tale of Tales has been the little game developer that could this year. They have turned the collective heads of the gaming community with their original titles and unique approach to the gaming medium. I haven’t had a chance to play Fatale, but if their past performance is any indicator of quality I am sure it will be a knock out. The Path, released last March, is not what many gamers have come to expect from an exploration game. There are no traditional puzzles to solve in this game and no enemies to fight, but The Path manages to establish genuine emotional resonance with the player utilizing graphics tricks many would consider outdated. Ambiance in The Path is created by changes in camera angle, well-placed music and sound effects, and alterations in lighting. There were few action-oriented components to The Path, which made the title a non-starter for many gamers. It was a game that focused on one central mechanic, our feelings about a given scenario, and didn’t let up. In many titles, ambiance and setting are obstacles developers work to overcome so they can get back into the action. In The Path, Tale of Tales made ambiance the whole point, and it worked. 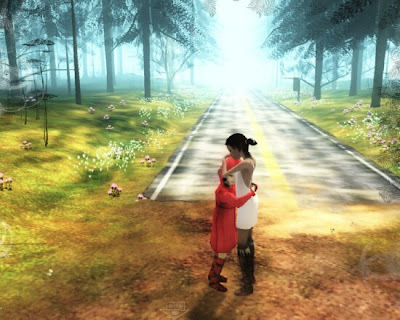 Honorable Mentions: Flower and the Hard Rain level in Left 4 Dead 2 both had stirring ambiance. Whether eliciting an imprecise, but radiant sense of hope or simply evoking animal terror these titles used environment, sound, and music effects to their utmost. Following a compass needle through a vast junkyard in the middle of a desert, this is the Borderlands experience. I don’t have much to say about this title that hasn’t already been said. The action mechanics were spot on, but I simply couldn’t bring myself to feel anything but mild amusement from this game. 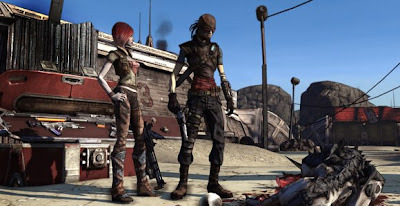 They didn’t even get the feeling of desolation to ring through; in a game called Borderlands that seems like a necessity.